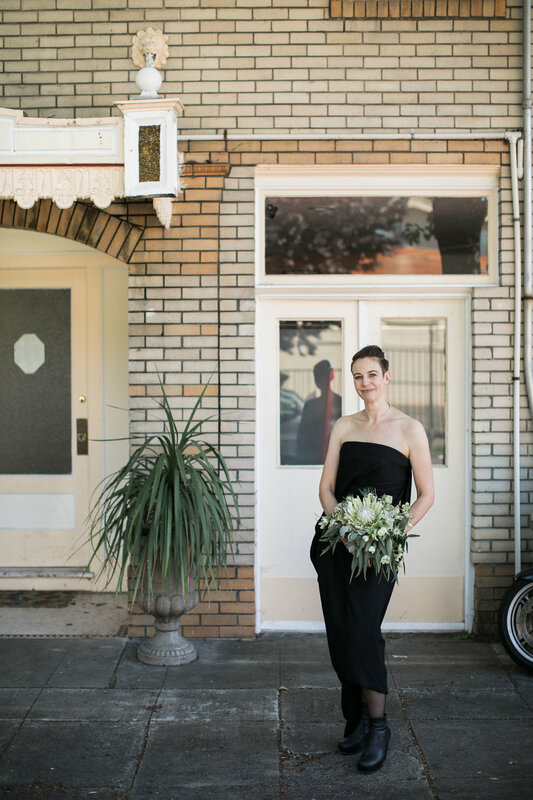 Alysha and Yonatan were absolutely set on an elopement... until a friend offered the garden in Alysha's Oakland home away from home. 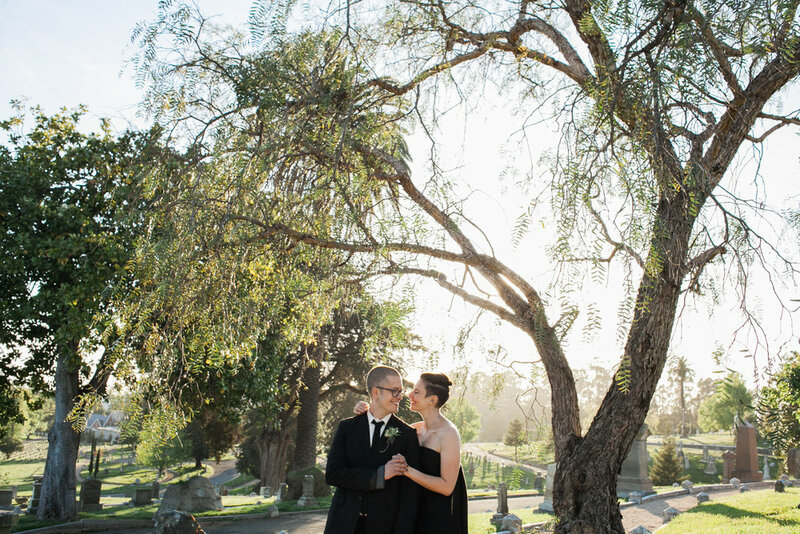 The vision immediately materialized: mac and cheese from Homeroom, pies from Three Babes, golden hour photos in the cemetery, dancing at the Starline. They'd combine their favorite spots and their favorite people. On a Thursday, because it would be their 10 year anniversary. With the logistics settled, is it any surprise to learn Alysha's favorite part of the wedding planning process was dress shopping? The pair seriously work it, bringing runway to the streets of MacArthur. When Alysha arrived at the top of the aisle and charmingly announced she had forgotten to bring her bouquet with her, she set the tone that this would not be a formal, stuffy affair. 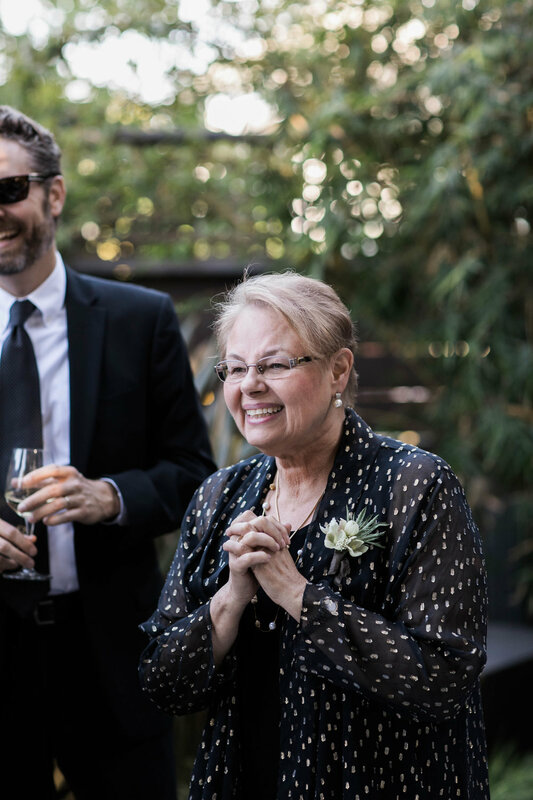 While family watched via Facetime from Australia, the couple shared personal readings, a knot ceremony as a nod to Yoyo's Australian fishing heritage, and unique vows that provided glimpses into their relationship: lots of cooking, lots of dancing, love for dinosaurs, bikes, and each other.